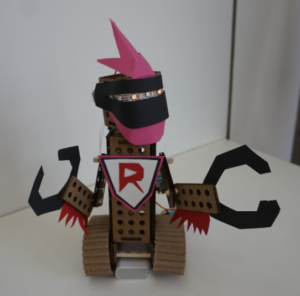 Digital Literacy Day – Learn Coding by Making Robots! 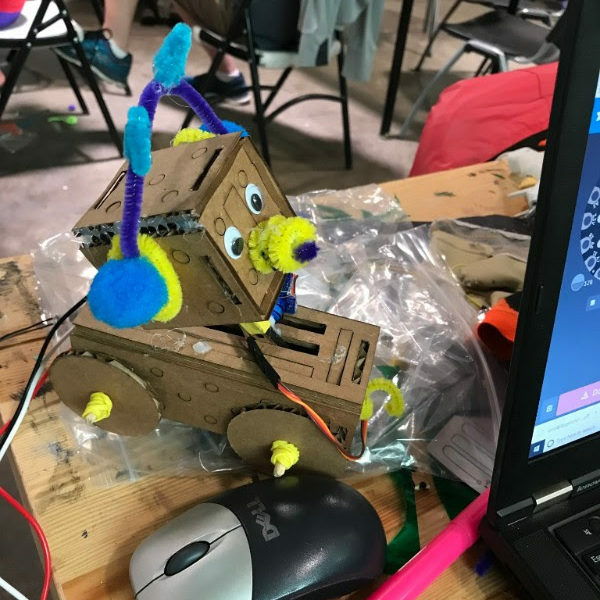 In partnership with the City of Toronto, the Ontario Science Centre, the MakerBean cafe and the Toronto Public Library, STEAMLabs is teaching you to code by making robots! Bring your class to hack some robots together out of laser cut cardboard, gears and electronic components! Code your creation on an Arduino microcontroller using the MakeCode drag and drop system. Share your creations with others with mini videos. You must register your grade 5 or 6 class of up to 30 kids to be able to attend one of these times. Contact info@steamlabs.ca for registration. 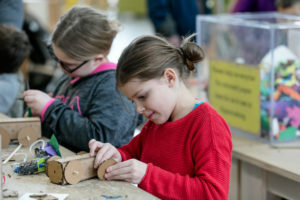 STEAMLabs is a maker education not for profit with programs emphasizing creativity, problem solving, critical thinking, communication, and collaboration. At our high tech makerspace in downtown Toronto, we hold summer camps, weekend workshops and more integrating skill development in new technology. At The Maker Bean, we provide a friendly and comfortable atmosphere to let your imagination soar: from traditional crafts to cutting-edge 3D printing and laser cutting, we want to see what you and your friends can make together.